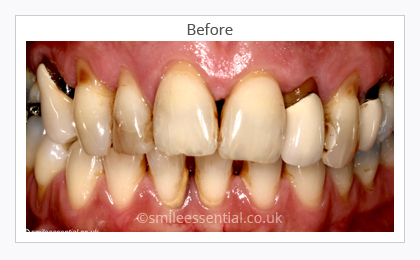 Smile Essential in Leicester is very pleased to offer metal free crowns - a highly successful cosmetic crown option for repairing cracked, broken, decayed or heavily filled teeth. 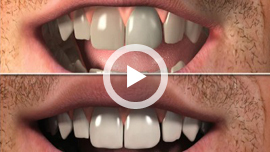 Our Leicester dentists use these stunning cosmetic crowns and bridges in situations where aesthetics are of the utmost importance, such as your front teeth. 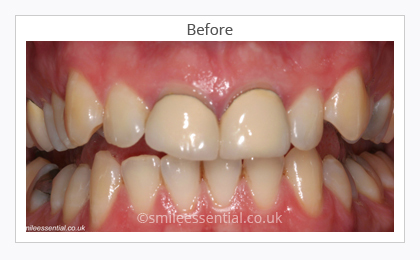 The metal free crowns are colour matched to your existing teeth and are usually made from Emax or Zirconia, two top grade materials that are tough, durable and opaque, making them supremely favourable to the traditional porcelain-fused-to-metal crowns. This is because they provide an exceptionally life-like aesthetic solution. These aesthetic crowns and bridges allow light to pass through as a normal tooth would and that gives a natural look, unlike other metal cores that block the light. Also, they do not leave a black line on the edge of the crown by your gum line. They also have strength, allowing you to chew comfortably and with confidence. 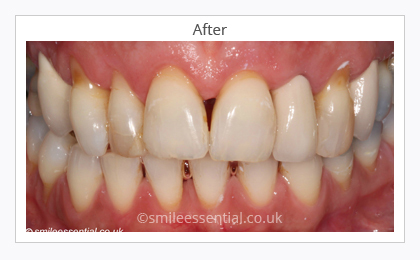 The new all-ceramic crowns at Smile Essential in Leicester are aesthetically superior to any other type of crown. You just cannot get the same finish and natural, living look with a traditional metal core (porcelain fused to metal) crown. 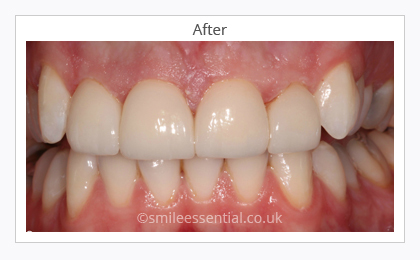 Our patients from across Leicestershire are also delighted with the reduction in sensitivity they experience with our all-ceramic crowns and bridges. The typical sharp reaction to hot and cold often felt with traditional crowns doesn't usually occur because of the lack of electrical conductivity. We offer a free consultation for metal free crowns and bridges, so, if you are considering this treatment and would like to find out more, please contact us today to book.